Peter Wilson set up his company High Definition & Digital Cinema Ltd in 2005, specialising in hi-tech consultancy and training. 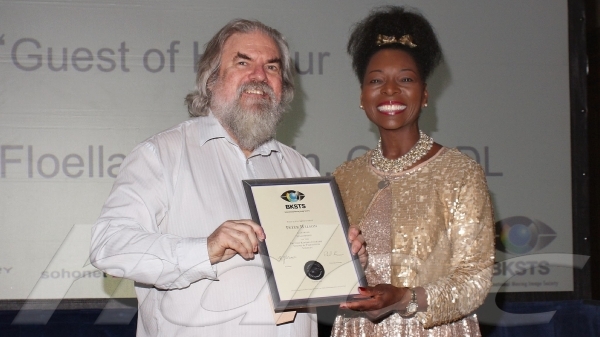 He has had a fascinating and wide-ranging career, constantly managing to be at the forefront of pioneering technical developments in television and film. After an electronic and mechanical apprenticeship, he worked in TV studio engineering, before joining Sony Broadcast, working on TV and recording developments. He moved into High Definition TV early on, working on demo production at Channel 5 in Italy, where he was technical facilitator, and later worked on the ground breaking RAI feature movie "Julia and Julia", which used HDTV production techniques for eventual transfer to 35mm for distribution. Peter’s role as technical facilitator was to bring together all the then new technologies involved in HD production and the subsequent transfer to film using the Sony Electron beam recorder. As a consequence of this, Peter became responsible for all of Sony Professional's new business areas, including supercomputing, instrumentation recording for general industry, and high data rate recorders used in astronomy and military applications. 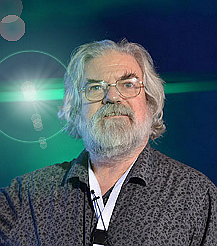 He developed a reputation as a practical engineer who can make things happen, which provided the openings enabling him to work on the 1986-1990 Montreux Jazz Festival HD Recordings, the first regular musical productions captured in HDTV, and on the HD production for the 1987 Genesis concert at Wembley, the first ever multi-camera live concert captured on the High Definition Video System, transferred to 35mm using the Electron Beam recording process and then blown up to 70mm. Digital Cinema has long been part of his life. Peter organised the technical facilities for the first Digital Cinema Demonstration at IBC Brighton in 1988, in collaboration with Rank Industries, who at that time were the biggest 'players' in British Cinema, owning everything from Pinewood Studios to your local High Street cinema! Rank was a very high-level technology provider for the TV and film industries, pioneering the use of Texas Instruments DLP technology in cinema. Peter was technical facilitator for the 1989 BBC NHK HD Co-production "Ginger Tree", using the High Definition Video System. Working for Sony Europe he set up Europe’s first HD - 35mm Film-out facility using Electron Beam recording technology. Peter became involved with the Ford Motor Company, developing a unique application for High Definition technology for life-size capture and visualisation in the design and evaluation phase of new motor vehicles. This project integrated the disciplines of Engineering Design, Aesthetic Design and visualisation. He joined Snell and Wilcox as Product Manager and Product Planner for HD and Display Products. He was chosen as co-facilitator for the UK DTI "Celluloid or Silicon" roadshow in October-November 2000. In 2003, he became Chairman of the EDCF Technical Module, where he continues to work hard on Digital Cinema inter-operability matters. Under the HDDC banner, Peter provides training in HDTV, UHD TV and Digital Cinema matters. Peter is a respected lecturer in several European countries. Peter now chairs the Event Cinema Association's Technology Group on an informal basis. Founded HDDC Ltd as a Technology, Techno-politic, Product Management & Training Consultancy. - Head hunted as the manager of Strategic Planning from Sony Broadcast Ltd.
- Led teams in HD, Digital Cinema and Higher Resolution applications in hardware and software for long term product planning. - Latterly promoted S&W as a world reference in Digital Cinema processing. Responsible for the conception, planning and introduction of more than 20 Pioneering Products in the HDTV, wide screen TV and Display Processing areas. - Data and Instrumentation Recorders. Successfully promoted Sony HDVS in a politically hostile environment. Introduced HDTV into the car industry as both a design tool (Ford) and promotional tool (BMW and Mercedes). Installed and operated the first TV facility in the school. Introduced film students to video principles and processes. Maintained and operated the TV facility in the Film school. Broad Apprenticeship - Radar sets to boat-building, Electronic, Electrical, Mechanical, Machining and Sheet Metal. 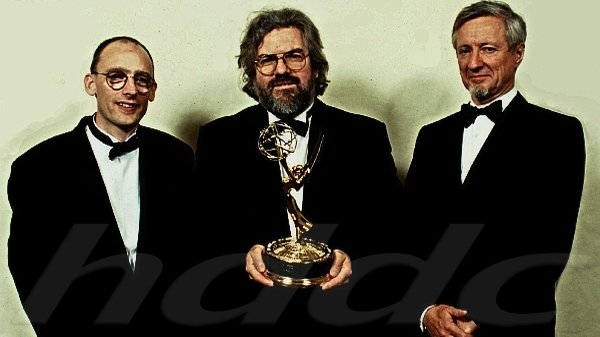 On 3rd October 2000, Peter Wilson and colleagues at Snell & Wilcox received a technical Emmy award from the National Academy of Television Arts and Sciences in the United States, for the company's work in the field of High Definition up- and down-conversion. 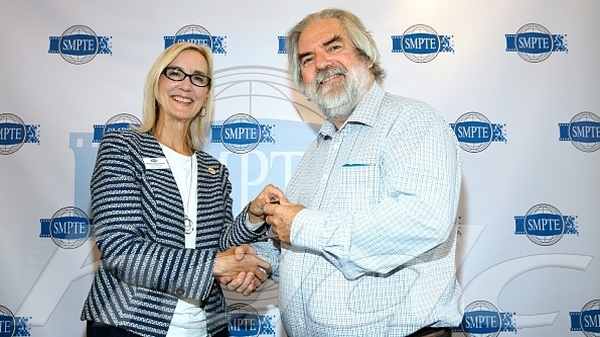 On 28th October 2015, Peter Wilson is among fifteen industry leaders inducted as Fellows of the Society of Motion Picture and Television Engineers (SMPTE), during a luncheon held at the SMPTE 2015 Annual Technical Conference & Exhibition, Loews Hollywood Hotel in Los Angeles. Fellowship 'is conferred on individuals who have, by proficiency and contributions, attained an outstanding rank among engineers or executives in the motion-picture, television or related industries. - Electronics and Wireless World. © High Definition & Digital Cinema Ltd.